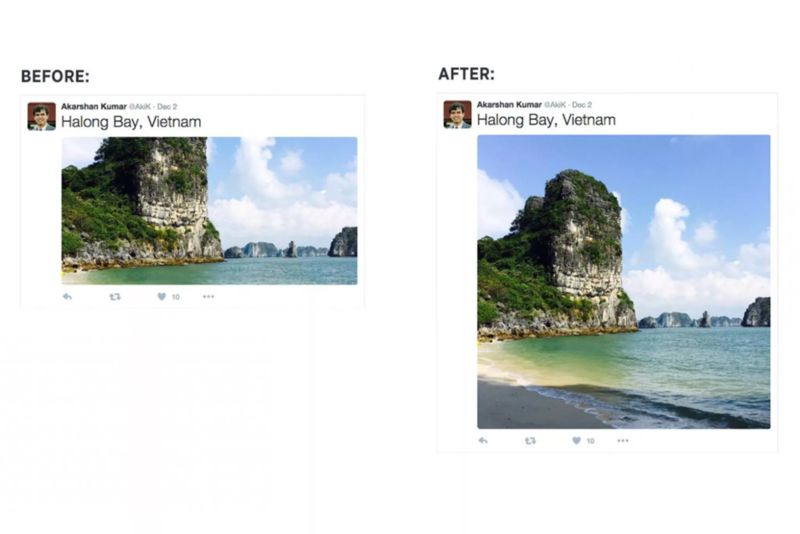 Twitter is starting to put an even bigger emphasis on photos within your feed. After a change today, Twitter's web feed will now display full square and landscape images, rather than cropping them into an awkwardly sized rectangle (portrait images are larger, but still get cut off). This is phenomenal news for anyone who's regularly tweeted photos of people, only to have Twitter weirdly cut off their head and center an image on their chest or groin. On the other hand, you can expect power users to complain for the rest of the day about how you can now only see two tweets at the same time. The change to photos was announced this morning and appears to have already rolled out. In addition to shifting over to uncropped single images, Twitter is also changing up how it displays tweets with multiple attached photos. Those photos will now look a little bit more like a photo collection posted to Facebook, with the preview favoring one image and putting others off to the side. That way, there's at least one big and visible image, rather than having several tiny images you can't make out.